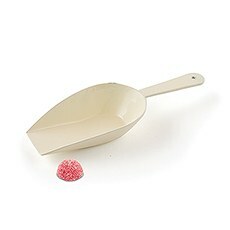 Make your wedding day even sweeter (if that's even possible) with the help of these candy fillers and scoops from The Knot Shop. These are the essential candy fillers for weddings, bridal showers, baby showers and other extra-special events where you want to send guests home with something extra-sweet to snack on later. Create the candy favor table of your wildest dreams with our tasty yet affordable mints, conversation hearts and other classically romantic goodies. We also have a large selection of candy scoops and other helpful essentials that you can use to setup a stylish, inviting candy table display. 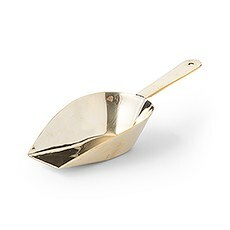 Choose a scoop that matches your wedding or special event theme, with eye-catching silver, ivory and gold options available. The Knot Shop is a great resource for all of your candy and dessert table needs, and make sure to explore our complete selection of candy fillers and packaging for more must-haves.